We put our pride in delivering quality products to our worldwide customers, as we have done for decades. In doing so, we use a notifying body to ensure that our products fulfil the required standards and norms. 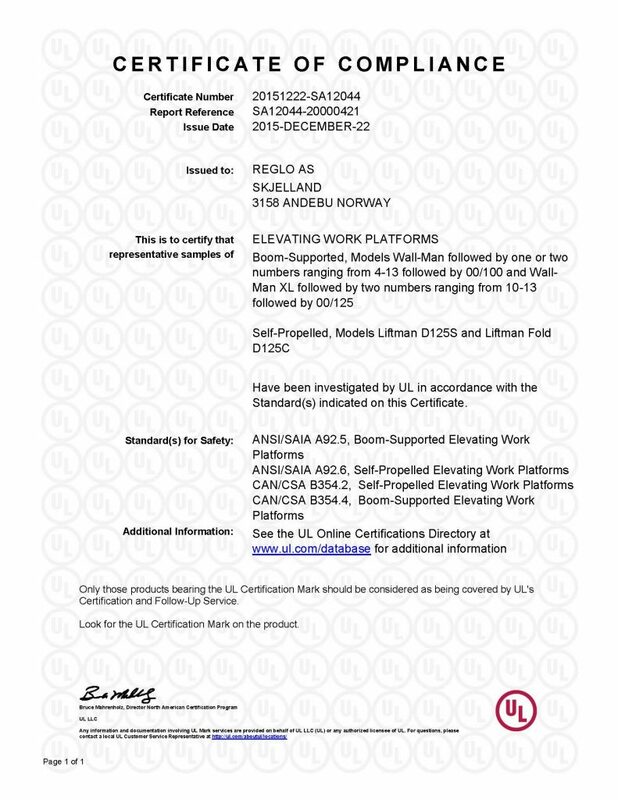 All WALL-MAN and LIFTMAN models are UL certified.